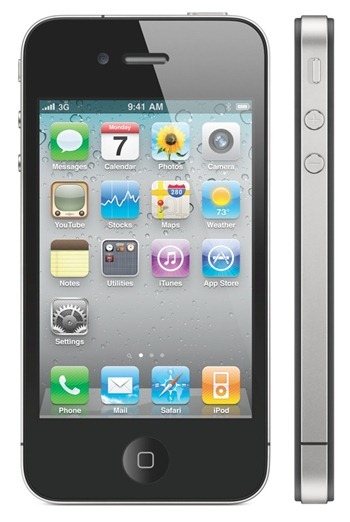 Apple has pushed out the new iOS 4.0.2 firmware for iPhone 4, iPhone 3GS, 3G and iPod touch 3G / 2G. This new firmware is basically a security update which patches the PDF exploit used by JailbreakMe to jailbreak all iOS devices. Now if you care about your security, you can go ahead and update now but doing so will make your iPhone 4, 3GS and iPod touch 3G / 2G unjailbreakable until a new jailbreak tool is available. Incase you decided against updating to keep your jailbreak alive, make sure you install PDF Loading Warner app which will keep your browser safe from this vulnerability. YOU HAVE BEEN WARNED ! We will update you as soon as we will have more on this. Stay tuned! Too late! I have done upgrade (iPhone 3GS 16gb, with iOS 4.0.1, gailbreak with jailbrekme) and ALL gone! I wonder if it can be undone or downgrading or something like that? BTW, I can’t say how much I HATE Apple! I have IoS 4.0.2 and I need to know if that version can be hacked to jail break?? I want to Break a 3rd gen ipod touch.. I didn’t know if you guys didn’t already put out an updated break file, 4.0.2 cant be that hard can it??? Apple is amazing why do u have an iphone is you ‘hate them soo much’ ? idiot. Good news is Apple are still signing 4.0.1 I crashed my new iPhone 4 after jailbreaking it on Friday. After putting it into DMU mode iTunes automatically upgraded me to 4.0.2. After trawling the net for two days, and thinking all was lots because I hadn’t saved any shsh blobs, I discovered that all I needed to do was download the 4.0.1 ipsw file, start iTunes and hit alt (on a mac) and restore, locate the earlier version and presto! my phone’s been downgraded! THANK YOU SOOOOOO MUCH NOTHING ELSE WORKED!!!!!!!!!!!!!!!!!!!! IF I WASNT STRAIGHT I WOULD BLOW YOU!!!!!!!!!!!!!!!!!!!!! It says it’s going to reinstall 4.0.1 over my current 4.0.2. Hi I keep trying to download 4.0.1ipsw on windows and it will not downgrade… Any ideas or does it only work on a mac? I have got an iphone 4 and downloaded 4.0.2 by mistake but want to downgrade to jailbreak….. I rolled back a 3Gs from 4.0.2 to 4.0.1 as well. Happy Jailbreaking! Can anyone help? I am trying to restore 4.0.1 and I am looking for the file to use from the firmware folder but there are seveal files..which one is the correct to load onto the phone? Thanks! It no longer matters even if you can find the firmware download, Apple has started “signing” the firmware which means that you can no longer downgrade anymore because iTunes is contacting Apple for permission to downgrade and when iTunes realizes the firmware isn’t “signed” with Apple’s special code is denies the downgrade/restore. Sorry. How can I downgrade my new iPhone 4 firmware iOS 4.0.2 to 4.0.1?